1. The way to drop out the drip tip is tilting it, it’s more convenient comparing to pulling out straightly. 2. 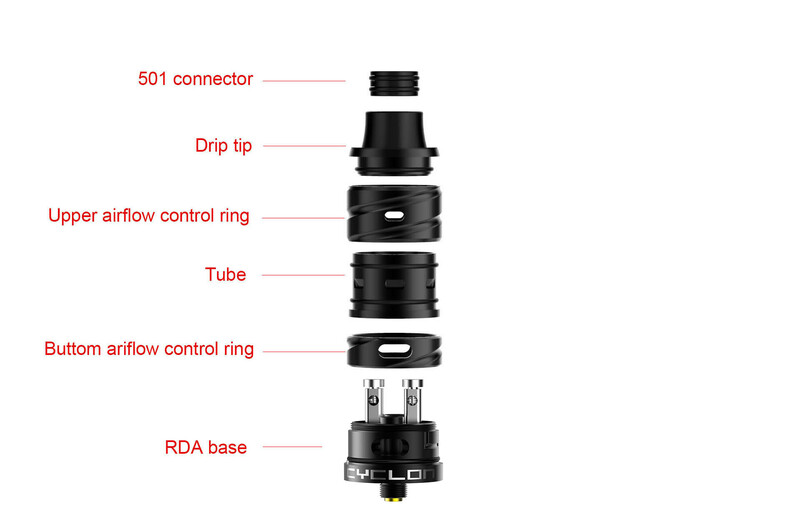 You can add an drip tip , using the 510 Drip tip connector. 3. The upper and lower rings are adjustable , you can choose more ways to adjust airflow. 4. Fumytech exclusive prebuilt twisted wire , which can give a better experience in vaping. 5. The diameter & plane of screw are larger ,which can be more convenient to rebuild. 6. Larger space to accommodate more cotton and e-juice. 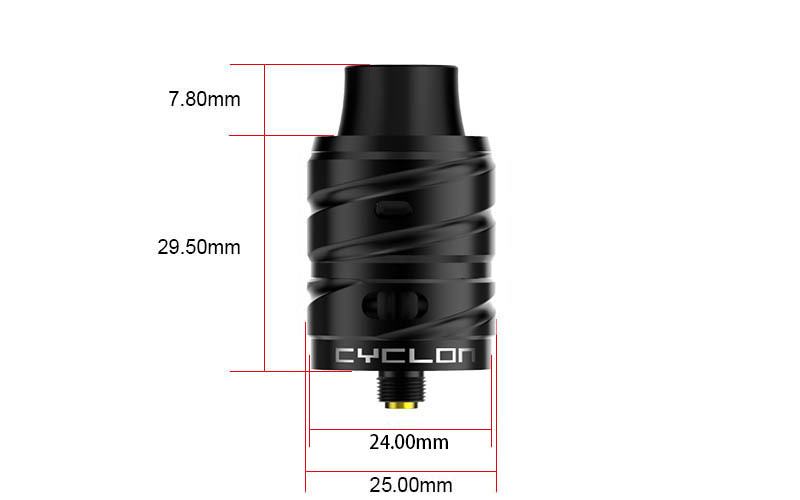 Deep juice well, 9.3mm height,would allow to stock more e-juice. 7. The upper airflow control outside ring is disassemble, which will alow you to clean it. Do not drip e-juice to lower airflow vent, and do not drip e-juice to exceed upper airflow vent surface.